Suitable for energy saving and pollution reduction. Burn the VOC while coating. Power Supply 380/220 Volt, 50HZ, 3Phase, 4 wire. 380/220 Volt, 50HZ, 3Phase, 4 wire. 380/220 Volt, 50HZ, 3Phase, 4 wire. 380/220 Volt, 50HZ, 3Phase, 4 wire. 380/220 Volt, 50HZ, 3Phase, 4 wire. ＊ The above specification is for reference only. Customers’ specification is available upon requests. 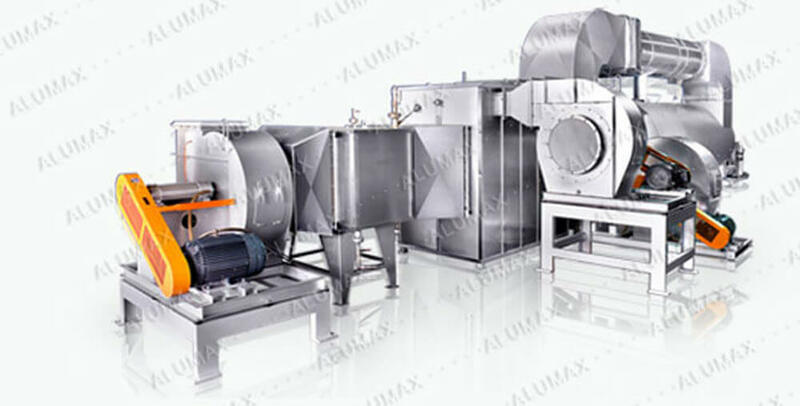 ALUMAX has the right to make any change. ＊ In order to incinerate up to 225 M³/min. of oven exhaust fume, incinerate temperature up to 800°C with minmum 0.5 second retention time. ＊The above specification is for reference only. ＊ALUMAX has the right to make any change.